Its secluded position makes the hotel an oasis of peace and tranquillity. 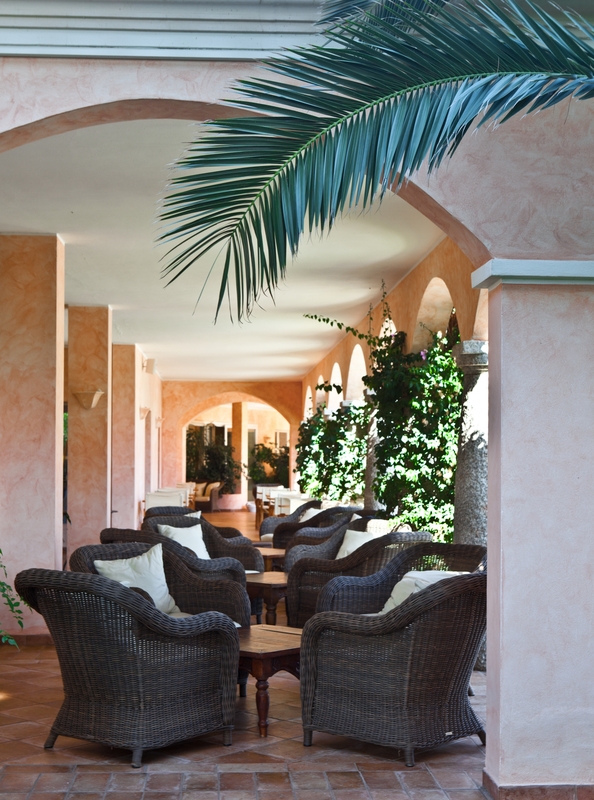 Built in a traditional Mediterranean style with long shady colonnades, the hotel blends in perfectly with the surrounding natural environment. It boasts a wide lobby, an elegant restaurant, a bar with a charming terrace overlooking the swimming pool and the surrounding garden, which provides ample space for taking the sun or lying in the shade. 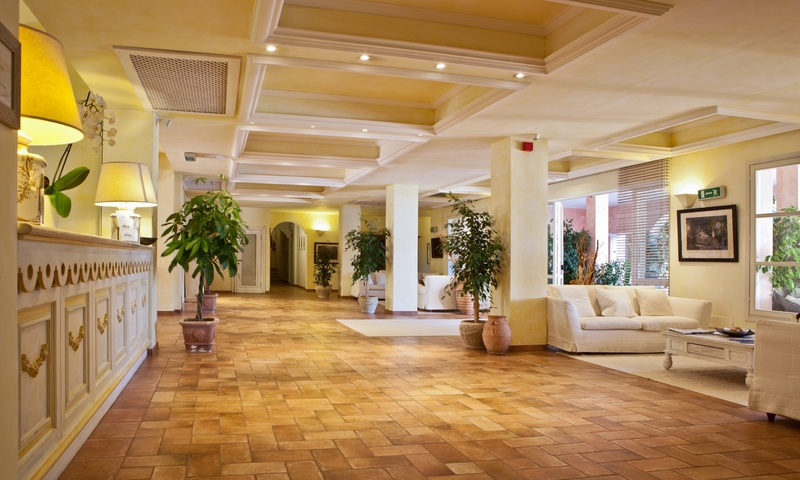 The hotel is situated in one of the most delightful corners of Sardinia’s South East coast, a few minutes from the holiday village of Villasimius (5 km) and close to its well-equipped tourist marina (2 km). Surrounded by Mediterranean greenery and facing a crystal blue sea, the hotel offers its guests all the charm and magic of the island. Services: reception open 24 hours a day, porter service, lift, unattended car park, during some evenings piano bar entertainment. There is an extra charge for mountain bikes, scooters and cars hire and for taxi service to Villasimius, where shops, restaurants and various services are available.